I’ve tried several of the masks and this is my favorite. I usually mix it with witch hazel and let it sit on my skin for a few minutes before washing it off. 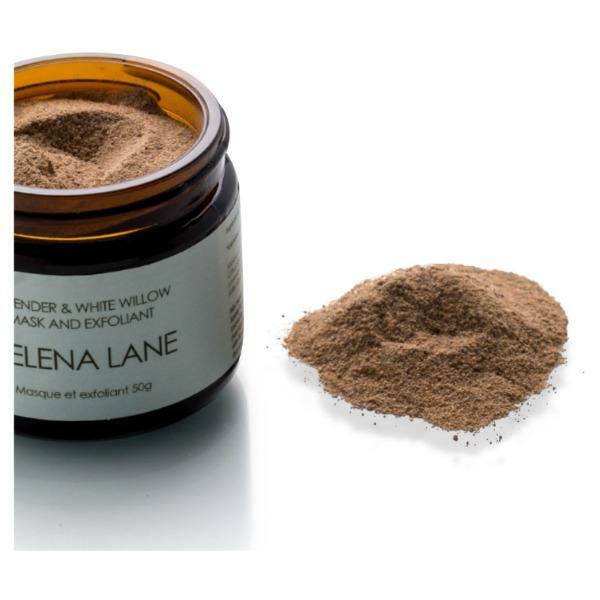 I discovered Helena Lane’s products while visiting my sister in Vancouver over a year ago. I started by buying a set in order to try her line. Since then, I’ve tried all the masks but the lavender and white willow is my favorite. It leaves my skin clear, tight, smooth and soft. I use it when I breakout and it really reduces the inflammation. I like the fact that you can use it as a mask or an exfoliant, add water or flower water. 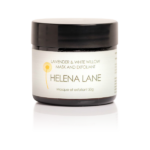 I’m now addited to Helena Lane’s skin care line! 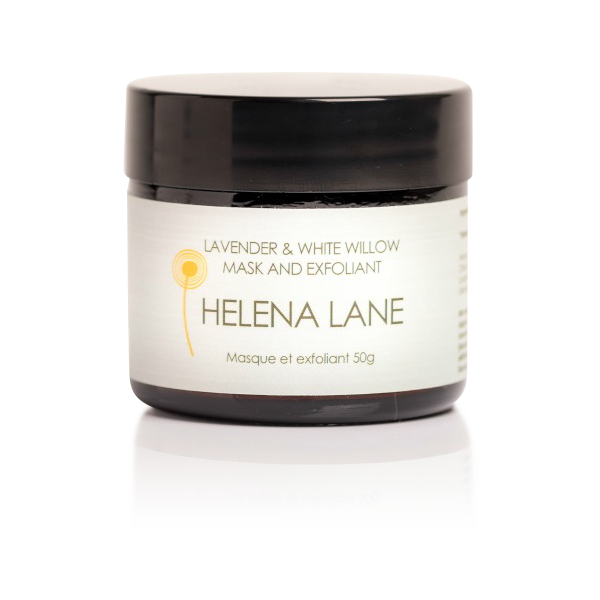 The lavender and white willow mask makes my face feel clean, smooth and soft. I have reactive skin and have had no problems using this product. I love the smell of the mask. I love this mask! On my “mature” skin it is a gentle exfoliant that leaves my face glowing and smooth. My favourite of all of the mask mixtures. This mask has worked wonders on my acne prone skin. I had a ton of congested pores and it has really reduced their appearance and improved the texture of my skin. It also stops breakouts in their tracks. I honestly can’t believe just how effective Helena’s products are. They have helped me feel so much more confident in my skin. As a mask – apply to face and neck in a circular motion, avoiding eye area, leave until dry. Rinse with warm water. As an exfoliant – massage all over face and neck, avoiding eye area, in a circular motion. Rinse with warm water. Follow with flower water or water serum and moisturizer or oil serum.